The 25th annual Bark in the Park will be held on Saturday, May 19 at Cricket Field in Forest Park! Presented by Purina, Bark in the Park is a 5K Run, One-Mile Walk and Pet Festival benefitting the Humane Society of Missouri’s Animal Cruelty Fund. Register as a “Pack” and raise dollars by asking friends, family and co-workers to sponsor you and help you achieve your fundraising goal. 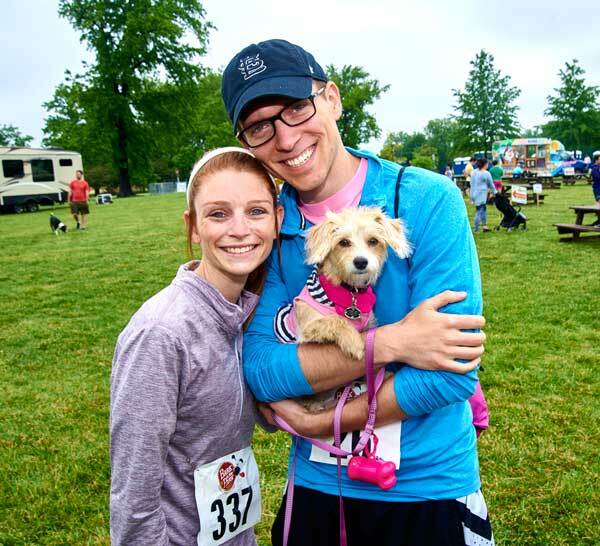 Then on May 19 gather your Pack and come to Cricket Field in Forest Park to run, walk or just enjoy the festivities at the Midwest’s largest pet festival, with more than 5,000 people and their dogs in attendance each year! Dollars raised through Bark in the Park provide second chances to animals who have suffered severe abuse and/or neglect. Sometimes living in deplorable conditions with no access to food, water or shelter, these animals are rescued by the Animal Cruelty Task Force and brought back to the Humane Society for treatment, rehabilitation, socialization and finally adoption into “fur”ever homes. One-Mile Walk at 10 a.m. Registration fee includes participation in the 5K Run and/or One-Mile Walk, official Bark in the Park t-shirt, swag bag and all festival activities. Information: bark@hsmo.org or call 314-951-1567. This entry was posted on Monday, April 30th, 2018 at 6:32 pm and is filed under May 2018. You can follow any responses to this entry through the RSS 2.0 feed. Responses are currently closed, but you can trackback from your own site.